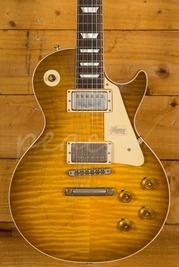 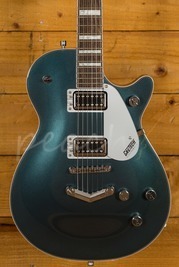 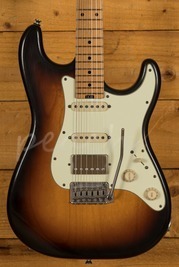 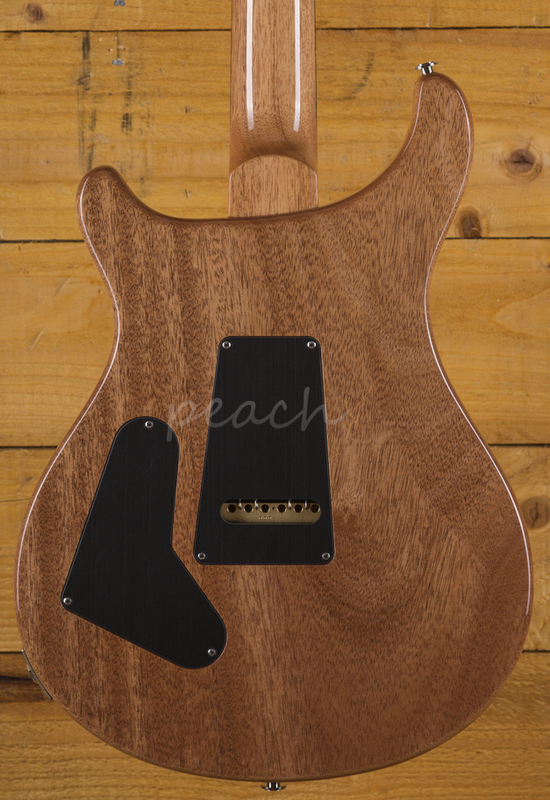 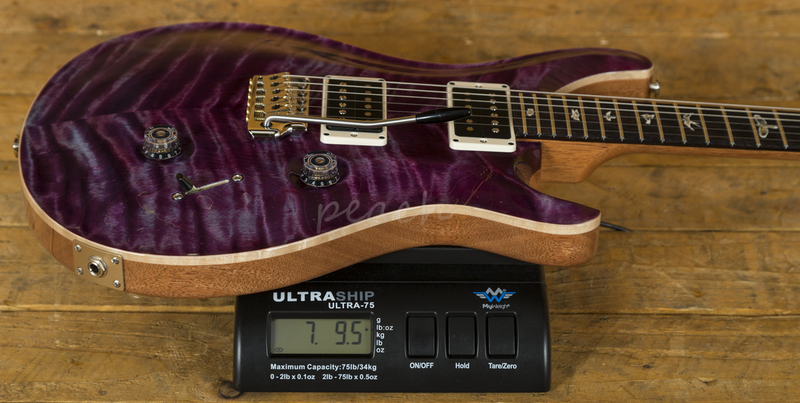 With a stunning carved figured Maple top and Mahogany back, it looks every bit as good as it sounds. 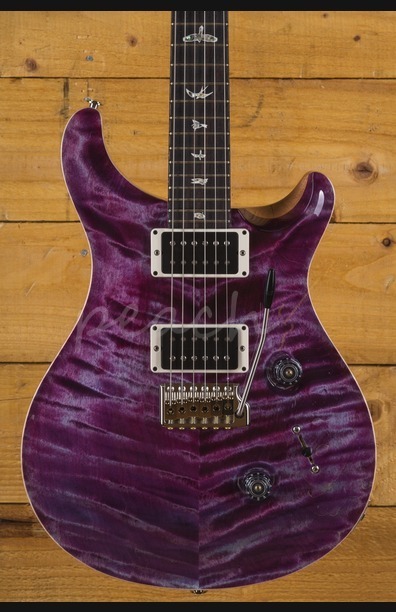 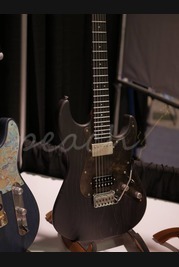 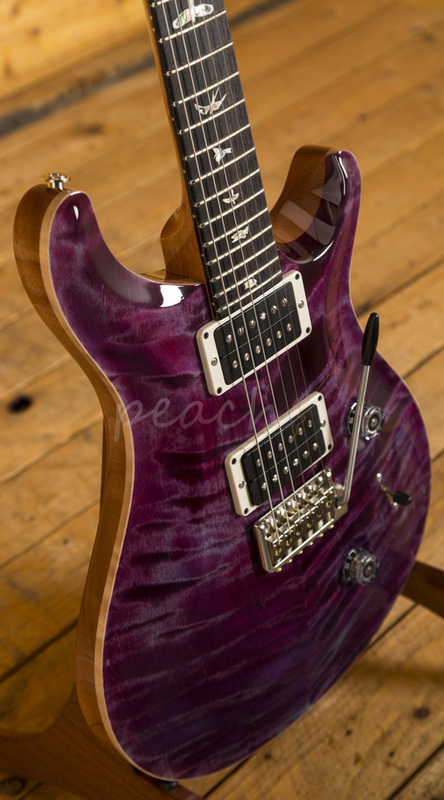 The Violet finish is stunning and perfectly complements the guitars premium aesthetic. 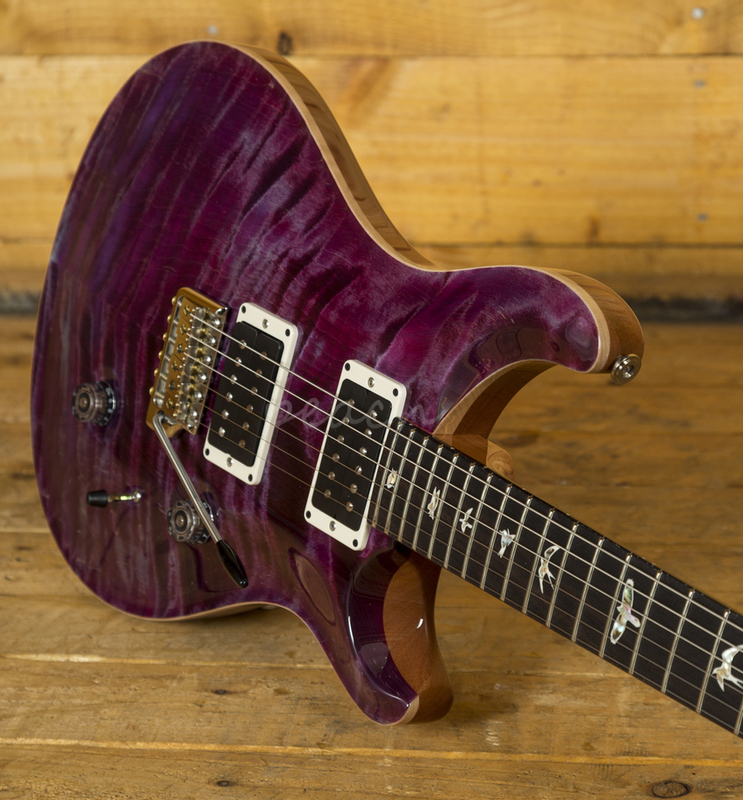 A comfortable 24 fret Rosewood fingerboard proudly bears the signature PRS birds and its 25" scale length Mahogany neck and pattern thin profile offers a comfortable and stable performance. 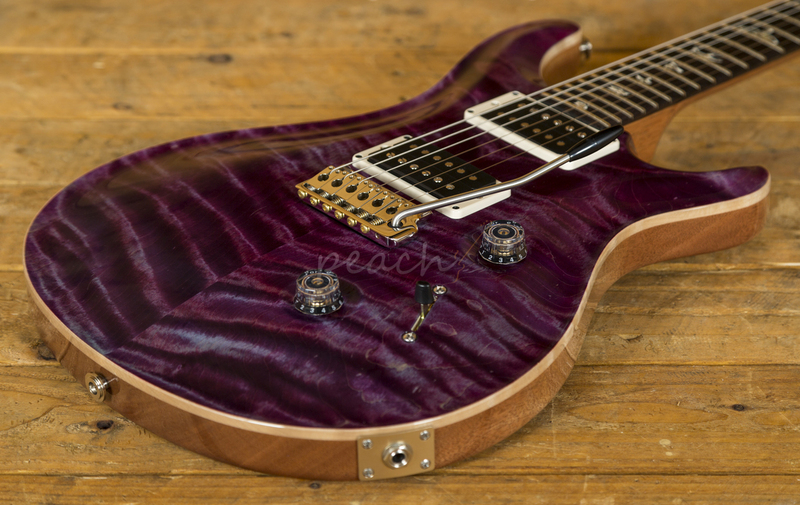 With the PRS patented Gen III tremolo and Phase III locking tuners, you get flawless tuning stability and great intonation, the trem is super responsive and allows you to add some lush texture to your sound.